The temperatures are going up, the sunglasses are coming up and the fur coats are heading back to the wardrobes. It can all only mean that the summer is coming, and with that comes a desire to pull off the best look possible, especially when it comes to your hair and your general beauty. Here are some of the trends that you can expect to see the most as we head into the warmer months of the year. Starting with eyeliners, one of the more popular trends right now concerns jet-black liner, more so for their position than their existence, since they’ve been commonplace for some time. What makes it stand out for this summer season is how you can have the jet-black liner sitting anywhere as opposed to always being placed on the lash line. You can make it as creative as you want, you can make it simple, or you can do something truly eye-catching (no pun intended). The choice is yours, and it’s this flexibility and freedom which makes jet-black liner a winner for this summer. One of the more unusual hair trends for this summer came from Alexander McQueen on the catwalk. This sees the hair take on a wet and wispy style, almost as if the lady has come out from underwater. It has been described as a combination of being dark, romantic, strange and head-turning, because it looks powerful and natural without putting as heavy an emphasis on the typical model “look”. It also represents risk, as the person going for such a hairstyle is going against the norm, and will undoubtedly attract more attention than usual. But it’s thought-provoking and it looks good, which is why you’ll see it more than you may think in the months to come. Then, there’s porcelain skin. Keeping your skin healthy, soft and striking, while maintaining your high standards of beauty, will always be important. But skincare can serve the purpose of both prepping and acting as make-up, and some high-profile names are turning to skincare as a source of make-up. Caudalie’s Vinperfect, BB and CC cream, concealers and brow gels are proving to be particularly popular, and chances are that you’ll see some friends and family applying these for make-up purposes this summer. 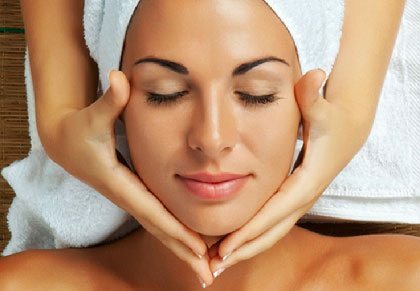 Ray Cochrane Beauty Salon can help you to achieve the desired look, whether it concerns your hair, eyes, skin, nails or another area. We deliver all major treatments at all times, and we work closely with a plethora of salons in case you are looking for something different. We also provide first-class training for anybody who has an interest in becoming a beauty therapist themselves, and in applying some of the cool trendy looks that we have outlined here. Read more about the hair and beauty trends for this summer at https://www.raycochrane.co.uk/.